So it’s week 2 of the bake off and we’re still getting over excited by all the baked goods and innuendos. This week for our bake off themed bake we decided to attempt the technical challenge, Arlettes. 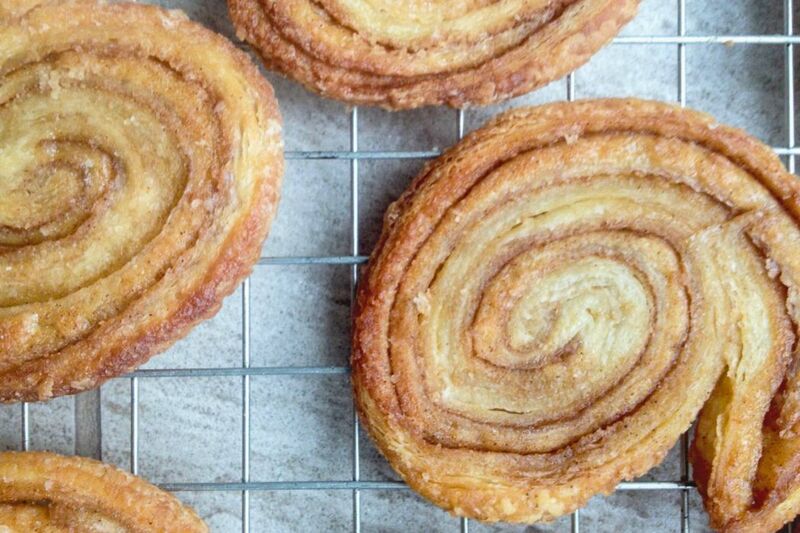 Arlettes are a type of french biscuit made from puff pastry, rolled up with sugar and cinnamon. Once sliced they are rolled again to make them very flat which allows them to get lovely and crispy in the oven. We fortunately had slightly more detailed instructions to follow whilst making these than the contestants! Flatten the block of butter between some greaseproof paper or cling film until its a rectangular sheet of butter around 40x19cm. Pop back in the fridge for at least an hour to chill / harden. Roll the pastry dough on a floured surface (about 60x20cm). Position the sheet of butter in the bottom two thirds of the dough, this should cover evenly to near the edges. Fold the remaining dough over the top half of the butter section, then fold over the bottom half of the buttered section so you have a sandwich of dough - butter - dough - butter - dough. Pinch the edges of the dough to seal, wrap in cling film and refrigerate for an hour. On a floured surface roll the dough into a neat rectangle of around 60x20cm again. Create a book turn in the dough, this will create an extra layer than a single turn - to do this you fold the top 1/4 of the dough into the middle, and do the same with the bottom so that they meet. Then you want to fold this in half along the line they meet. Return to the fridge for an hour. 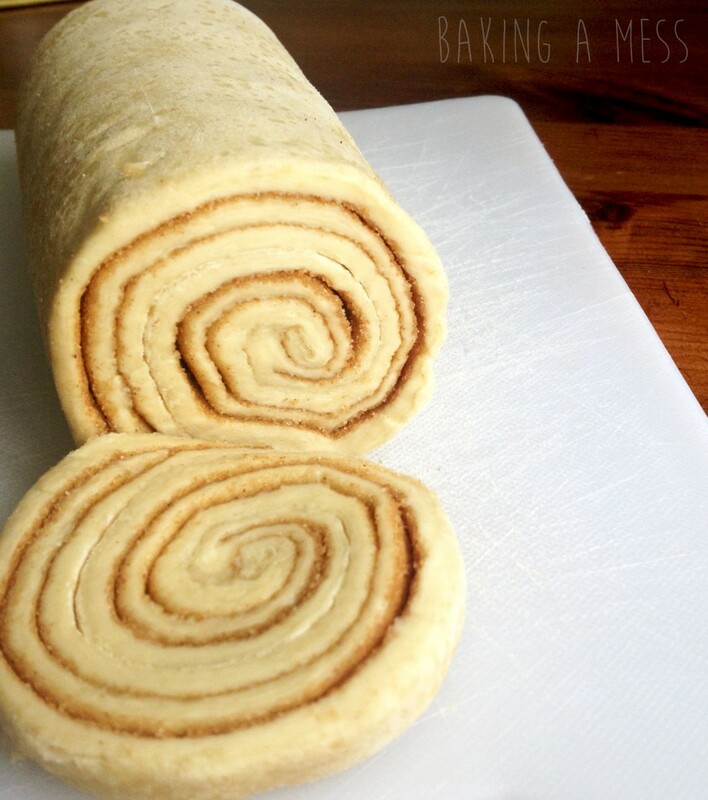 Again roll the rectangle out to 60x20cm, this time create a single turn by folding the first 1/3 down and the bottom 1/3 up to create a square of perfectly laminated dough. Refrigerate for ANOTHER hour and repeat the process of a single turn. Mix together the granulated sugar and cinnamon. 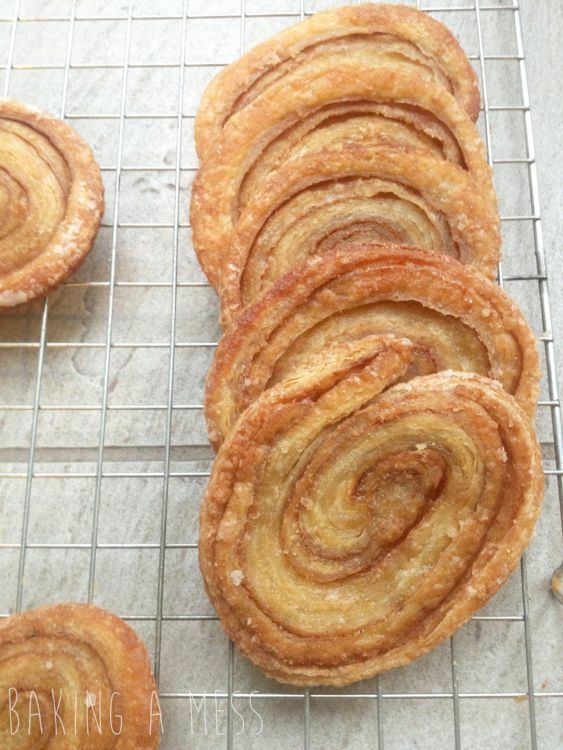 If you are making your own puff pastry like we did, before you do the last fold add the sugar and cinnamon mixture. 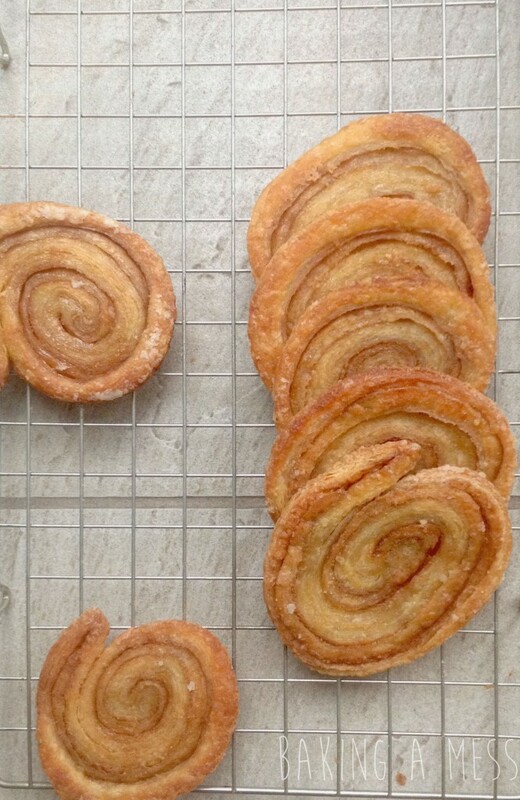 If you're using shop bought pastry roll out to 40x20cm and spread the sugar and cinnamon across the pastry and do a book turn (fold in the top and bottom quarter, then fold in half). Roll out to a 15x25cm rectangle and roll, like a swiss roll, from the short end, wrap in clingfilm and chill for half an hour. Trim the ends and then cut into 1 cm slices. 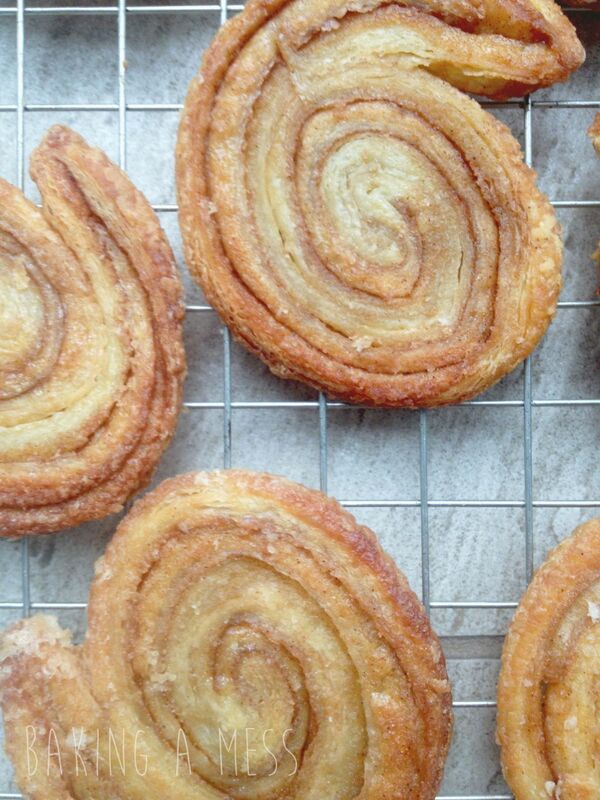 Dust the work surface with icing sugar and roll out the slices very thinly, turning to coat both sides in the sugar. Bake at 200°c for 5 mins, remove from the oven and turn, then bake for a further 3-4 mins. We don’t think that under Paul and Mary’s scrutiny we’d have made the top spot in the technical challenge, but we’re still pretty pleased with the outcome and they taste great!